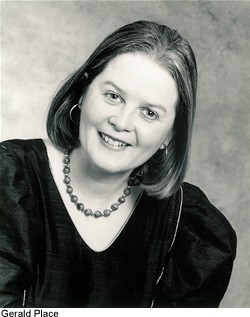 Ruth Holton read music at Clare College, Cambridge, where she was a choral exhibitioner. She made her first solo recording in Bach’s St John Passion for Deutsche Grammophon under Sir John Eliot Gardiner, and rapidly became well known for her performances of the Baroque and Classical repertoire. Ruth’s discography includes Carissimi’s Jephtha, Purcell’s Dido and Aeneas, Bach cantatas with Gardiner and Ton Koopman, Mozart’s Salzburg Masses, Handel’s Messiah, Schütz’s Christmas Story, Haydn’s Nelson Mass, Handel’s Susanna and Bach’s B minor Mass. During the years 2000 and 2001 she completed a project to record all the sacred cantatas by Bach with the Holland Boys Choir. The clarity of Ruth’s voice makes her a popular choice for contemporary music. Projects have included a programme of new works at the Amsterdam Concertgebouw, a BBC television documentary with music by Peter Salem, recordings of Grand Pianola Music by John Adams and pieces by Steve Reich, and specially commissioned works by David Briggs, Howard Thomas and others. She performed a new work by Guy Woolfenden in celebration of Shakespeare at his own church in Stratford. Ruth is a regular performer at several European festivals, including Flanders, Aldeburgh, Greenwich, the Three Choirs Festival and the Bachfest in Leipzig. She has performed with the Orchestra of the Age of Enlightenment and Gustav Leonhardt in Rome and Vienna, and with Fretwork in Finland and Germany. She has had a long association with the choir of St Thomas’s Leipzig in Bach’s own church, and she performed his Mass in B minor in the Bachfest 2000, which was televised in Europe and Japan to mark the 250th anniversary of the composer’s death. She returned to Leipzig in April 2007 to sing Bach’s Johannes Passion. Other recent performances include Dvorak’s Stabat Mater in Winchester, Mozart’s C Minor Mass in London, concerts of Bach in Switzerland, and Bach’s Jauchzet Gott in Gloucester. Ruth has been a coach at Choral Symposia in Gdansk (1999, 2001 and 2005), The International Summer School at Dartington (2002) and Madrid (2003).